Learning numbers requires plenty of hands-on practice, especially because your little one is still in the process of developing his motor coordination skills. Make it fun with this free printable Counting worksheet for kids! 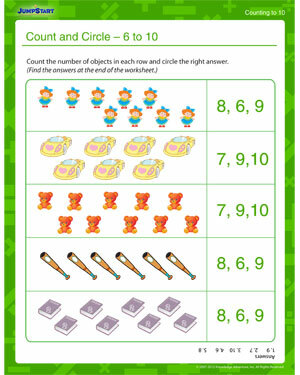 And when he’s done, make sure you check out other Counting and Numbers worksheets, all designed to make math fun for youngsters. Get ready to raise a math pro!